The 2018–19 Premiership Rugby is the 32nd season of the top flight of English domestic rugby union competition and the first to be sponsored by Gallagher. The competition will be broadcast by BT Sport for the sixth successive season with five games also simulcast free-to-air on Channel 5. Highlights of each weekend's games will be shown on Channel 5 with extended highlights on BT Sport. The reigning champions entering the season were Saracens, who claimed their fourth title after defeating Exeter Chiefs in the 2018 final. Bristol Bears were promoted as champions from the 2017–18 RFU Championship at the first attempt. Bristol Bears, having won the 2017–18 RFU Championship, replace London Irish, who were relegated last season after finishing bottom of the table. The 2018 edition of the Premiership Rugby Sevens Series would be held on 27 and 28 July at Franklin's Gardens. All twelve Premiership teams would feature in one venue over two days. Teams would be split into four pools of three which played each other once in a round-robin basis with the tournament splitting into Cup and Plate competitions on the second day. Green background (rows 1 to 4) are play-off places and earns a berth in the 2019–20 European Rugby Champions Cup. Blue background (rows 5 & 6) indicates teams outside the play-off places, that earns a berth in the 2019–20 European Rugby Champions Cup based on their position in the table. Red background (row 12) will be relegated, providing the team promoted from the 2018–19 RFU Championship are eligible for promotion. (CH) Champions. (RU) Runners-up. (SF) Losing semi-finalists. Fixtures for the season were announced by Premiership Rugby on 6 July 2018. Due to redevelopment work causing the closure of Twickenham Stadium, round 1 did not include the London Double Header. Despite a four-year deal being struck in 2016, no matches have yet been scheduled to take place in the United States. It had previously been reported that Sale Sharks vs Harlequins in round 18 would take place at Toyota Park just outside Chicago, Illinois. However, the round 6 match between Harlequins and Saracens was broadcast live in the US on a major network with NBC as opposed to NBCSN broadcasting for the first time. Big Game 11 — Harlequins will host Wasps in this season's edition of the Big Game at Twickenham on 29 December. Derby Day Saracens vs Harlequins at London Stadium on 23 March. The Clash — Bath Rugby will return to Twickenham on 6 April. This year's opponent will be fellow West Country rivals Bristol Bears. Attendances do not include the final at Twickenham. ^ Bath would also play a home game at Twickenham Stadium, Greater London on 6 April 2019. ^ Harlequins would also play a home game at Twickenham Stadium, Greater London on 29 December 2018. ^ Newcastle Falcons would also play a home game at St James' Park, Newcastle-Upon-Tyne on 23 March 2019. 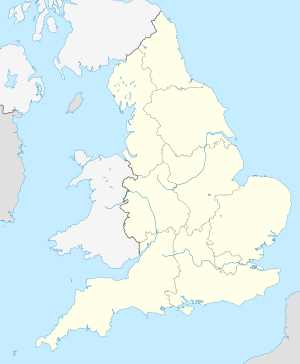 ^ Northampton Saints would also play a home game at Twickenham Stadium, Greater London on 6 October 2018. ^ Saracens would also play a home game at London Stadium, London on 23 March 2019. ^ Allianz Park typically has a capacity of 10,000 but this can be raised to 15,000 with temporary seating. ^ Leicester Tigers v Wasps attendance is incorrectly given as 23,258 on the Premiership Rugby website. Leicester Tigers website gives the correct figure of 25,258. ^ "Gallagher confirmed as new title sponsors of Premiership Rugby". 12 April 2018. Retrieved 27 May 2018. ^ "Bristol Bears Premiership Rugby". Retrieved 11 September 2018. ^ "Premiership Rugby 7s Returns to Franklin's Gardens". Premiership Rugby. 2 May 2018. Retrieved 27 May 2018. ^ "Premiership Rugby set for revamp with US insurance giant as new title sponsor". 2018-04-04. Retrieved 2018-07-20. ^ "Gallagher Premiership Rugby Fixtures". Premiership Rugby. 2018-07-06. Retrieved 2018-07-06. ^ "Gutsy Tigers earn derby win". Leicester Tigers. 2 March 2019. Retrieved 3 March 2019. ^ "2018-19 Premiership Rugby top points scorers". ESPNScrum. Retrieved 7 April 2019. ^ "2018-19 Premiership Rugby top try scorers". ESPNscrum. Retrieved 7 April 2019.